ዝብኢ እንተሓነኸስ ፡ ንነብስኻ ይደሊ! I’m amazed by your information gathering, accuracy, and verifying each and individual tendencies, behaviors, psychological make-up, background and support it not only with truth but your papers (writing) also shared an important facts with a tangible pieces of evidence. even innocently let alone with cold-blooded deliberation knowing fully well theconsequent risks to the precious souls! stoicism of our tegadelti – a concrete manifestation of social capital of the highest level. Undoubtedly, the will to sacrifice ones-self and attempt to accomplish the impossible for the common good which clearly overrides rational thought and achieves dramatic results, has been the hall mark of our heroes and heroines whose martyrdom we all are indebted to uphold. My gratitude to the producer of this moving story/-(but history). Zegerem iyu..nay Hezbawi Genbar neger bhafeshawi. Thank you for this heavy History of Our brave comrades. Tariq nay bahaqi kesened allewo..Tariq jega nu na. My heart was beating fast while reading this incredibly written article. Is this man still alive? I never heard or read such kind of betrayal even in fiction. This man has to be eaten alive. Did he talk about this sriHit in his interview with Assenna? Please Raee tell us about this man whereabouts. ኣብ ሰውራ ኤርትራ ዘይተነግረ’ምበር ዘይተገብረ የለን። ምእንቲ ሓድነት ህዝቢ ኤርትራ ግን ቡዙሕ ነገር “ምእንቲ እዛ መጎጎ ትሕለፍ ኣንጭዋ” ኢልካ ዘይተጸውየ ብዙሕ እዩ። ኩሉ በደል/ክድዓት ኣብ ልዕሊ ሰውራ ኤርትራን ህዝባን ተፈጺሙ’ዩ። ግን ከም ኣካል ቃልሲ ተውሲዱን ተሰኒዱን ተሓሊፉን ይሕለፍን ኣሎ። ኤርትራ ድማ ነጻ ሃገር ኮይና ብሰብ መትከል ትምርሽ ኣላ። We should be all grateful on that. If you have the time you could listen all his ranting on YouTube by searching under his name. There are two kinds of enemy to Eritrea.one of which is Tegaru but born or living in Eritrea before or while before independence or after inside the war.They are dangerous but they can be long-lived and you can detect them quickly and once and then the others are real Eritreans.These groups are temporary local hazardous and their gear is hopeless,may be loneliness,perhaps regerttable,that they miss their home Eritrea,wrong upbringing,wrong company,jealous of small things and what I mean is that it is a natural things that exists over all so what we can do is to hug them,love,welcome them.mistakes is are once so thy can recover again even though it’s so difficult they are ours,so at last do not let anyone used them. Sorry i disagree on pandering to those ‘Eritreans’ who have mentioned. “These groups are temporary local hazardous and their gear is hopeless, may be loneliness,perhaps regrettable….”. It looks like your making up excuses for their treachery. Most are just power hungry selfish people, pure and simple. The reason why those type of people shamelessly commit treason is because they know that Eritreans are soft hearted and very forgiving. I do not agree with being soft on those that are committing crimes against Eritrea so “no one uses them”. You fail to realize is that they are the ones that are willing to be used for their own selfish benifit. This type of attitude of sucking up to traitors has to really stop because its really harmful and sets a precedent for other traitors to openely commit crimes against Eritrea and Eritreans. In their mind they can do what ever bad things they want and then simply say “sorry” and feed your perception of them of being “lonely and missing Eritrea” and that is why they do the bad things they do. That does not make any sense at all. If someone who was committing treachery comes by himself and apoligizes and takes action to correct his mistakes, not only by words but by work. Then that is ok and you can welcome such person. But what we should not be doing is suckking up to such people and begging them to stop. No mercy to the traitors!!! We wll never forgive those who has blood in their hands and we will take care of them to those who are behind it,sooner or later they will be prejudiced and they will be prosecuted in front of Eritrea people. But what I mean is when it comes to the weak and stupid just hanging on and jumping there without meaning and reason and yelling snake Words imagine what can you do to this?Most of them are at age of 20 so it means they were Children when Weyane began a war against Eritrea.Some of them dreamed a Beautiful Dream of west and Watch the west Movie ans some of them came from country and someone whispered them just to go to Sudan or to Tigria where it started the long and awful road to the hell West. For those West are clothes,to color the hair,to own a smart phone,they do not go to school and not work without permission,no car and sleep in small room five people and fight over time to listen Hip Hop,they live on contribution,West crushed their fresh heart,bright brain,their age and great Dream,their hope burned by West and they are ours. “We wll never forgive those who has blood in their hands and we will take care of them to those who are behind it,sooner or later they will be prejudiced and they will be prosecuted in front of Eritrea people. Ya, I understand, we’ve no choice but to forgive them because they’re victims of propaganda. But, even though they wer kids at the time of ‘werar Woyane’, they are adults now.. and they should’ve known better. But I get what u mean. ???????? Another desperate hit piece. Regime supporters are getting more desperate it seems. What else can we expect, with all the trouble the country is in. The eyes of the world are focused on the regime. Thousands of youngsters risking everything to flee the nation since they have no hope under the current mismanagement of the tyrant. No matter how many articles you write about this Yemane guy, or the Kubrom Dafla’s, Ali Abdu’s, Mahmoud Sherifo’s, pilot Dejen’s and Dawit Isaak’s of this world, remember that all these men are not responsible for the bad state the nation is in. They are not responsible for the annulment of the constitution, the sanctions, the refugee crisis, the closing down of newspapers, the indefinite military service and all the other problems facing the nation. Ugum, please look your ugly face in the mirror of Weyane in Mekele. Any thing about Eritrea is beyond your reach. He dare not confront his grisly face whether in mirror or in reality, for he knows it is horrid. what else do you expect. they have nothing to show for except misery and refugees fleeing on a daily basis on to lampedusa. Like a small child they have no choice, but to cry foul and blame others. What are you blabbering are you still nu-aware about all your cousins camouflaging as Eritreans who are flooding the shores of Europe? What do you know!! I actually met this kedAe with his German wife in 2006 in Bonn Germany like any ordinary citizen. Oh Thanks TN for 26th Eritrea’s independence GIFT! It comes at A good time. EastAfro looks had enough serving the Hafash for free. In the mean time thank you EastAfro for the free ride for all those years to watch and stay connected with back home through ERI-TV. Oops, It is not free. It is forcing me to subscribe for $14.95/month or $149/year after I watched for few minutes. ypfdj conference turned out to be a complete PR disaster for the regime supporters. they are losing more and more support in the diaspora as the number of people fleeing the country increases day by day. Sanctions will not be lifted anytime soon, isolation of the thuggish tyrant will remain in place, so in panic they blame some guy that used to work with them, but now exposed them. keep on barking hypocrites, you people have no shame. I find the article as interesting one. There are a lot of noises out there that criticise our past Ghedly but i always never took them seriously.Why ? Where were there at that time when they self elected WUFUYAT. WUFUY should have done what is suppose to be done at that time not settle for any price. Yemane states that before flying to Germany the 19 or so Wufuyat returned back home after the second unsuccesfull mission. The Author states that all of them fight to the last bullet and perished. The author again implies all this happen because Yemane sold information to the enemy and our Wufuyat where cordoned and subsequently killed. In this merky world of criminal secret services is impossible for us to explicitly find the truth or believe one and reject the other. But one thing i never ever question is our lovely and gallant Wufuyat Gegannunah. This traitor betrayed Eritrea in the time of struggle, and that’s is why he still betraying Eritrea/ppl.. because his history is stained with betrayal. 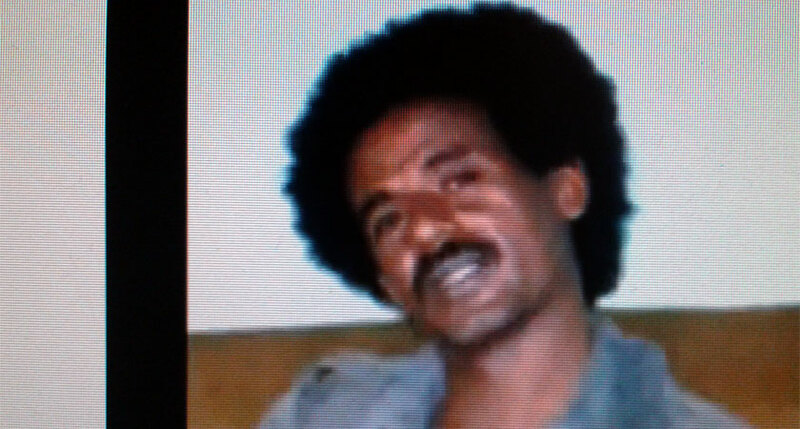 If he was patriot’ why stay in Germany while the true patriots returned back home to liberate their beloved Eritrea/ppl. And that’s why he’s still doing this evil deeds, because his owners are the Woyane-chifra. But in the end, he will pay for his crime, for selling secrets to the enemies in the time of Gedli..and kibezh-kibezh/kibil-kibil he will get the shanks between his eyes. Cuz.. ሓለንጊ ሰውራ ነዊሕ’ዩ✊???? በዚኦም ከዳዓት ዝንቅነቅ ኣይኮን. Many of those patriots that liberated their beloved Eritrea are now rotting in jail Alec. More then two decades after independence we have the same tyrant in power, who dismantled the constitution, refuses to be held accountable and even locked up his comrades in arms (Petros Solomon, General Ogbe Abraha, Mahmoud Sherifo just to name a few). These heroes never lived in Germany, Holland, US or any other western country like you and I. They sacrificed everything for Eritrea and were betrayed by their comrade who silenced them because he refuses to be questioned, held accountable and having to answer difficult questions. What is you opinion on their indefinite imprisonment? Can’t you see that our country is going through difficult times. That our communities abroad are more divided then ever. We need to unite again. And accusing everyone of being weyane/CIA/Traitor etc. if they simply criticize the government will not help dont you agree. Well, our former heroes like ‘Petros Solomon’, Haile Weldetinsae etc are one of those who tried to overthrow our government by conspiring with foreign agents– at a time of war.. and that’s what we called treason!! u can even ask ur beloved ‘Dan Conel’ about it.. he even wrote about it.. like how ur heroes ‘Haile Weldetinsae and Petros Solomon’ and those who followed them –tried to overthrow the government thru foreign help, because ‘Shaebia’ is not a US puppet and it’s always after its own interest. 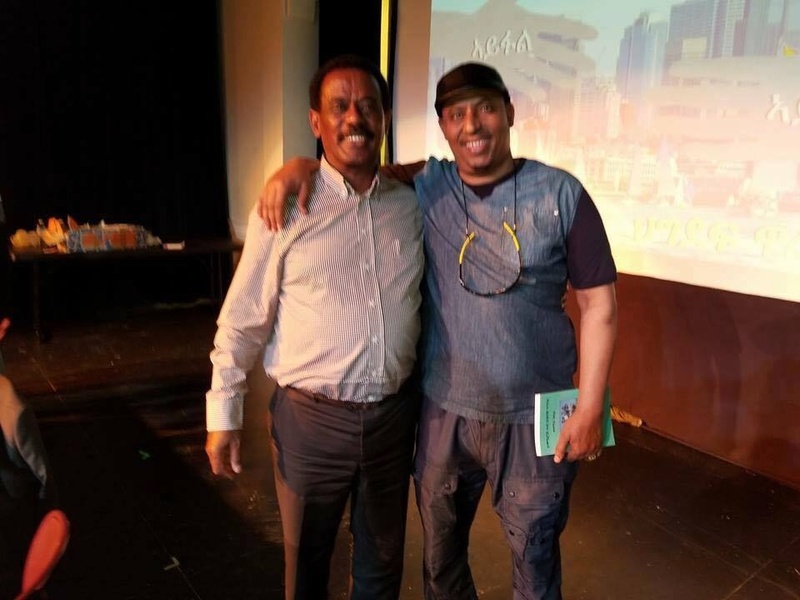 So u see, ur heroes fall from grace because they fought for themselves and tried to hold power -thru mutiny- to sell Eritrea to the highest bidder, cuz challenging the West interest in the H.Africa doesn’t benefit them.– financially speaking of course. ???? So ጅግና ዝባሃል ንሃገሩ ክሳብ መወዳአታ ብዘይ ጎበጥበጥ ዝቃለስ ኢዩ, unlike this fallen heroes, self-serving.. who tried to sell the country to foreign enemies, in-order to hold on power and of-course because they think challenging the west, and fighting for our interest is suicide. If fighting for our interest is suicide, then what is the point in fighting for independence in the first place?? ብምቅጻል ንኹልኹም ሃገራውያን ከምኡ ውን ንኹልኩም ብሃገር እትግደሱን ክንፈልጦ ዝግበኣና አዋናዊ ጉዳይ ዘሎ ,,,, ከምቲ ንፈልጦ ኣብ ልዕሊ ሃገርና ብዝተፈላለየ መልክዕ ሒዙ ብዙሕ ተጻብኦታት ንርኢ ኣለና,,,እምበኣር ዚ ኣብ ስእሊ ትርእይዎ ዘለኩም ተጋዳላይ ተኽለገርጊሽ ዝበሃል ብናይ ሶማል ሽሙ ከኣ ኢብራሂም ዓሰል ይበሃል,,,ኣብ ግዜ ቃልሲ ናጽነት ብሓሶት 19 ተጋደልቲ ከምዘቅተለን ሎሚ ድማ ካብ ኣመሪካ ከባቢ 300,000 ዶላር ተቀቢሉ ታሪካ ገድሊ ኤርትራ ኣብ ምብላልን ምንእኣስን ይርከብ ኣሎ!! ንመንእሰያትን ንብሕጂ ድመጽእ ወለዶን ሕማቅ ታሪኽ ንኽገዲፍን ጸሊም ንጥቢ ንክገድፍን ከምኡ ድማ ብተወሳኪ ጁቡኡ ንምህጣርን ላዕልን ታሕቲን ኣብ ምባል ይርከብ ኣሎ!ድሮ ተጋዲልና እንታይ ረኺብና ትቢል ምጽሓፍ የሕቲሙ ኣሎ,,,፣ ምናልባሽ ንሱ ተጋዲሉ ወላ ሓደ ኣይረኸብን ይኸውን ንሕና ግን ካብዚ ገድሊ’ዚ ናጻ ኤርትራና ኢና ረኺብና። ምናልባሽ ግዜ ይነዊሕ ይሓጽር ይከውን ምበር በቶም 19 ኣሕዋትና ንሓተካ እዋን ኣሎ!!! !ስለዚ ኩሉ ሃገራዊ ነዚ ጉዳይ ብትሪ ክንርዮ ይግባእ! !